Are you agonizing over the selection of a gift for someone special? For instance, are you currently searching for the perfect graduation, birthday, or anniversary present? If you are short on time and ideas, consider a timeless classic. Buy Watches In Sacramento! If you need an amazing gift now, the following 4 benefits of buying watches shouldn’t be ignored. If you are buying a gift for someone who adores jewelry, a watch is a wonderful choice. A glamorous watch is a piece of jewelry that can be paired effortlessly with multiple types of outfits. 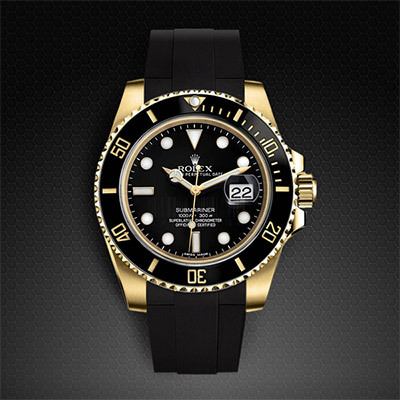 If you know the gift recipient values upscale jewelry items, you should probably only consider gold or platinum watches. You may also wish to shop for diamond watches. A watch is a convenient item to own. Whenever a person needs to check the time, all he or she needs to do is look down at his or her wrist. While many people rely exclusively on their cellphones to check the time, watches are still insanely popular with others. And, a watch is a lot easier to keep up with than a cellphone. Sacramento. By wearing a stylish watch, a person can instantly update an outfit. When shopping for a watch to give to someone, always consider his or her style preferences instead of your own. For instance, your loved one might like big, bold watches while you adore small, inconspicuous timepieces. When someone wears a watch, he or she is often viewed differently by others. Wearing a watch makes a person appear more responsible, professional, and put together. If your loved one values these qualities, a watch might be the perfect gift for him or her. When you buy someone a beautiful watch, he or she may cherish it forever. He or she might even decide to pass it down to one of his or her descendants one day. So, don’t worry about what your next gift purchase will be. Buy Watches In Sacramento! With the ongoing volatility that still circumvents the stock market, businesses do not have the money to hire new employees full-time. Add to this the overwhelming burden that new policies have placed on small businesses, and there is much less of a budget for new hiring than ever before. If you are looking for a position that will pay you well, then you will likely have to make that position on your own. That’s right; you need to start your own business, and there is no better business going today than to sell watches in Sacramento. – Why would I want to sell watches in Sacramento? 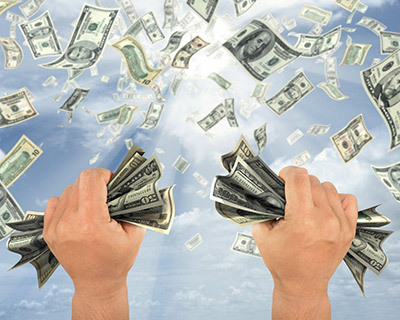 If you are looking to start a business, then the first thing that you need to know is to get around people with money. People with expendable income are what drives the economy, and if you are selling luxury items such as watches, you need to be around people with money to burn. Sacramento is well known as one of the corridors of finance in the state of California. The city is located in one of the richest areas in the state, and it boasts a very busy metropolitan area that is open to receiving new small business ideas. People are also looking for low cost ways to keep up with the time. 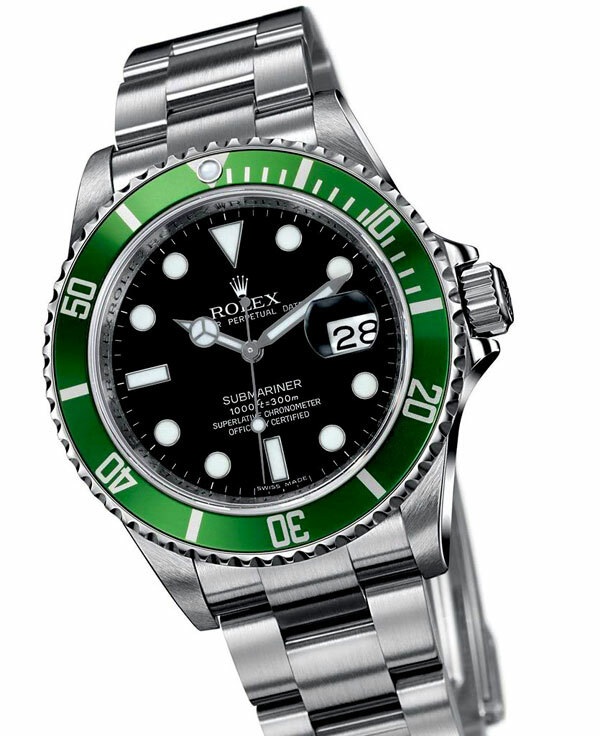 In many cases, the watch shops that are located around the area sell watches for a premium. However, in Sacramento, everyone is always looking for a deal. If you place yourself in the right area, you can be the dealmaker to take advantage of all of the stores that are overcharging their customers currently. If you are looking to start a business quickly, then you also need to worry about the startup costs of that business. The great thing about selling watches is that the startup costs are relatively minimal compared to many other kinds of companies. You can start with inventory that you vet yourself. You can choose brands that you think will sell best. There is virtually no other business that allows you to do this. – How do I sell watches in Sacramento? In order to have success selling watches in a high traffic area, you must set yourself apart from your competition. The first step is to find the right location. Fortunately, there are so many bustling areas in the Sacramento area, you will have no trouble at all finding this kind of a remote location. Once you have found the location that you like, you will need to ingratiate yourself to the people who frequent that area. People need to get to know you so that they will will comfortable making a purchase from you. This is easy to do with a high quality product like watches. Do you have a collection of diamonds in your house collecting dust? Maybe your wealthy aunt passed away and since she had no heirs you inherited the diamonds by default? Both ways, you are faced with one challenge, how to sell diamonds. Diamonds have for a long time remained the world’s most precious substance. The situation is no different in Sacramento. The value of diamonds in Sacramento has never gone down even for a moment. Perhaps, it is high time you learn the perfect ways of disposing of your precious stones. The excellent way to get rid of your surplus superfluous stones is to sell them in Sacramento. Sacramento is a sanctuary for shoppers of jewelry in Northern California. The city is the cultural center that hosts exciting tourist attractions. It has museums and exhibits of numerous collections of jewelry. This is why selling diamonds in Sacramento will give you more money than selling in any other place. What Is The Value Of Your Diamonds? Before you sell diamonds in Sacramento, you need to evaluate your precious stones realistically. The fact that you bought the rings at a very high price does not guarantee that you will receive the exact money you paid for them. For one to sell diamonds in Sacramento at fair prices, getting an appraisal is not a choice. The assessment grades the value of one’s diamonds. The value of a diamond is determined by its weight, clarity, its uncut and color. The colorless diamonds are accorded highest value than the colored ones. Also, the uncut diamonds are valued more than cut ones, because being uncut determines its brilliance and fire. Identify a qualified appraiser in Sacramento who will help you determine your diamonds’ value and sale price. The most excellent technique of getting a fair price for diamonds is to knowing as much as one can about the precious stone. The knowledge will put one in a better position to bargain with the buyer. When the buyer offers you less eighty percent of the rapport price, don’t accept; it’s a dump value. 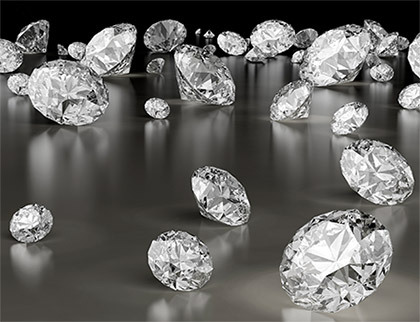 Many brokers tend to purchase the diamonds at very cheap prices so that they can resale them at enormous profits. An appraisal helps one determine whether the value offered is dump value or not. It is advisable to sell one’s diamonds in a larger metropolitan areas such as Sacramento, where the commodity is likely to be in higher demand. When one does not get a fair value for their diamonds in any of the sighted places, consider selling them to relatives and friends. These are the people likely to give you fair prices for the diamonds, and will still be appreciative for safeguarding something with sentimental value in the family. Diamond has traditionally graced engagement jewelry. The fact that it is durable and lustrous makes it a good choice to be used as a symbol of a relationship’s strength and durability. Purchasing diamonds is not a daunting task as long as you have tips to ensure your purchase is effective. To buy diamonds in Sacramento, there are some things you should note. The cut of a diamond is important irrespective of its use. Begin by examining the gem under bright light to determine the quality. ‘Cut’ is a term used to refer to how well the shape of the stone scatters light. The pavilion’s proportion is the next thing to evaluate. An overly deep pavilion makes a dimmer diamond. On the other hand, a shallow pavilion lets too much light to pass through the stone. Any experienced diamond buyer in Sacramento should use this method to evaluate a diamond. Remove any colorful items like other articles of clothing or gemstones near the diamond. Place the diamond’s pavilion side up on white paper and use a balanced spectrum light or sunlight. Look for traces of brownish or yellow tints. Compare the gem’s color against GIA color rating scale. 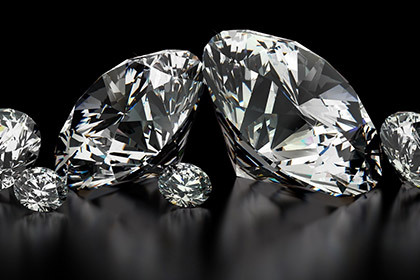 Clarity is another tip to consider when you want to buy diamonds in Sacramento. Things such as tiny internal gas bubbles, black carbon flecks and white filmy inclusions are to be avoided. Such features decrease the value of the stone. Look at the diamond from top down using a magnifying glass or loupe. Stones that are graded IF or FL using the IGA rating are those that are rare and command a high price. Remove any impurities on the diamond’s surface by cleaning it with an alcohol swab. Use tweezers to place the gem on the jeweler’s scale. Take note of its weight in relation to the dimensions of the same. The interrelation between these four evaluation methods will be used by any diamonds buyer Sacramento to assess the value of the diamond. When you have made the decision to buy diamonds in Sacramento know that there are many sellers of the gems. You should therefore begin by consulting with several jeweler or gem dealers. Consultations will assist you find out information such as the clarity, weight, cut and color of the diamonds they stock. Discuss any replacement plans (especially for jewelry diamonds) and any applicable discounts. With these quick tips you can effectively run a diamond buying/selling business. There is an ongoing debate in certain circles as to where to go to get the best price if you’re selling jewelry in Sacramento, Calif. Do you go to a pawn shop or to a jewelry buyer who specializes in also buying gold, silver and diamonds? Well, actually you can say either one, but let’s get the real story on both options available for those looking to sell their personal jewelry. Depending on how much value you place on your possessions, how much research you are willing to do before your sale and depending on the jewelry item itself and its characteristics, that is how much you can expect to get in cash or check. silver a seller has, they’ll get far below what they would elsewhere. Estate sales of jewelry usually carry the best connotation and many times get the best prices for the seller who usually is a trust, family or foundation liquidating the personal belongings of a deceased person. A seller of jewelry needs to remember that jewelry is style-driven. Because of this, estate jewelry/retail jewelers will not give top prices to sellers of jewelry that is not in or nearly in fashion. Unless the piece is an antique with precious stones and/or gold or silver mountings, and in good condition, the selling price is not usually something to brag about. A seller’s best bet would be to research as much as possible the value of their piece of jewelry. As there are several factors that will decide how much they will get for the jewelry, sellers need to know an approximate figure of what they may get. Such contributing factors in setting the price are: the carat, the color, the cut, the purity and the condition of the stone–whether diamonds, gold and/or silver. Today’s convenience, speed and dynamics as found in the Internet has facilitated the process of jewelry selling extraordinarily. Sending the jewelry pieces to a myriad of quality, reputable, online dealers in prepaid envelopes trigger fast appraisals and the issuing of checks to a seller’s mailing address or preferred bank account. Selling jewelry has never been easier than today, and the future for selling jewelry in Sacramento looks like its getting brighter every day.